Pianist Molly Morkoski has performed as soloist and collaborative artist throughout the U.S., Europe, the Caribbean, and Japan. Her playing has been recognized by The New York Times as “strong, profiled, nuanced . . . beautifully etched . . . . an energetic and focused player . . . . with flexibility and warmth . . .” and The Boston Globe called her “outstanding”. In June 2007, she made her solo debut in Carnegie Hall’s Stern Auditorium/Perelman Stage playing Beethoven’s Bagatelles, Op. 126. 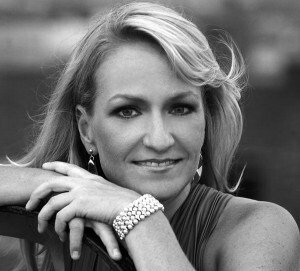 Molly Morkoski has performed in many of the country’s prestigious venues, including Weill and Zankel Halls, Alice Tully Hall, Merkin Hall, Miller Theater, (Le) Poisson Rouge, Boston’s Gardner Museum and Jordan Hall, St. Louis’ Powell Hall, Philadelphia’s Kimmel Center, and Washington D.C.’s Smithsonian. Internationally, she has performed at the Teatro Nacional in Santo Domingo, the Strasbourg Conservatoire, the U.S. Embassies in Paris and Nice, the Glyptoteket Museum in Copenhagen, and in Japan’s Suntory Hall. She has appeared as a soloist at the Tanglewood, Bang-on-a-Can, and Pacific Rim Festivals, and has performed concertos with the Raleigh, Asheville, University of North Carolina at Chapel Hill, and Tuscaloosa Symphonies, and with the Moravian Philharmonic Orchestra. An avid chamber musician, Molly Morkoski is a member of Meme, Open End, and Exponential Ensembles and has collaborated with some of today’s leading musicians, including Dawn Upshaw, John Adams, John Corigliano, and David Robertson. She has performed with the New York Philharmonic Ensembles, Metropolitan Opera Orchestra, St. Louis Symphony, New World Symphony, Speculum Musicae, Brooklyn Chamber Music Society, and Orpheus Chamber Orchestra. An avid proponent of new music, she has worked closely with composers John Adams, Louis Andriessen, John Corigliano, David Del Tredici, Lukas Foss, John Harbison, Aaron Jay Kernis, David Lang, Oliver Knussen, George Perle, Steve Reich, Steven Stucky, Andrew Waggoner, and Charles Wuorinen, among others. Molly Morkoski took part in an acclaimed collaboration with Mark Grey on his “Fire Angels” in Carnegie Hall in March 2011 and on the Cal Performances Series in Berkeley, with Ensemble Meme and soprano Jessica Rivera. She gave the world premiere of Martin Kennedy’s Piano Concerto, written for her, with the Tuscaloosa Symphony Orchestra, and recorded the work with the Moravian Philharmonic Orchestra, the release of which was in May 2013. Her debut solo CD, Threads, was released in 2012 on Albany Records, to critical acclaim, and her most recent CD of solo and chamber music by Grammy Award winning composer Gabriela Lena Frank, also for Albany Records, was released in December 2013. This disc received the support of illustrious Copland and Ditson Recording Grants. Molly Morkoski was a Fulbright Scholar to Paris, where she was an apprentice with the Ensemble Intercontemporain. She was one of the first recipients of the Teresa Sterne Career Grant and was given the Thayer-Ross Award upon completion of her Doctorate in 2002. She earned her Bachelor of Music from the University of North Carolina at Chapel Hill, where she studied with Michael Zenge, her Master’s degree from Indiana University in Bloomington- studying with Leonard Hokanson, and her Doctorate degree from SUNY Stony Brook, where her teacher was Gilbert Kalish. Molly Morkoski lives in New York City and is an Associate Professor at Lehman College in the Bronx.